One of the least reputable, most irresponsible jurisdictions in the world, the Comoros is often categorized together with Nauru as one of the two absolutely worst. Arguably, even TRNC is a more reputable jurisdiction than The Comoros. The difference is that The Comoros actually is an independent nation and fully recognized. In a previous post, I referred to there being three well-established international financial centers (offshore jurisdictions) in Africa: Mauritius, Seychelles, and Liberia. This is the fourth one. The one no one wants to talk about. And it’s a two-in-one deal! 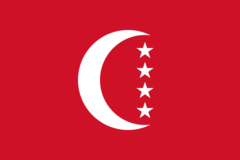 The Union of the Comoros is made up of three more or less autonomous islands: Anjouan (also called Ndzuwani or Nzwani), Mwali (also called Mohéli), and the namesake Grande Comore (also called Ngazidja). For being three small islands, the Comoros has a perhaps surprisingly intricate history. It has ties both to African and Arabic culture. A number of sultanates have risen and fallen on these islands, with the Sultanate of Anjouan (Nduzwani) being the most prosperous and being known for at one time fighting a war against the Sultanate of Zanzibar which readers may remember was under Omani influence. However, in 1997, Anjouan and Mweli declared independence from The Comoros, attempting to reinstate French rule following what had been an authoritarian regime from the Grande Comore. After a regime change in 2002, the African Union tried to strongarm Anjouan into rejoining the union. However, in 2001, Anjouan had been taken over by a military rebel force. In 2008, the island of Anjouan was stormed by some 2,000 soldiers from the African Union. This was mostly welcomed by the inhabitants. The invasion caused three fatalities of the rebel troops and none of the invading forces. 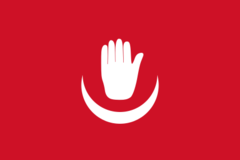 Since 2011, there has been a democratically elected president ruling over all three islands. All in all since its independence in 1975, there have been more than 20 attempts coups. 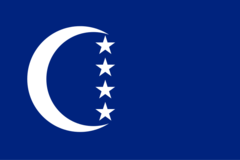 The Union of the Comoros is a member of the UN, African Union, Arab League, World Bank, IMF, and a plethora of other international organizations. The jurisdiction is not a member of OECD, has signed only one tax treaty (a mostly symbolic DTA with the UAE), and has not signed up for AEOI. The Comoros both is and is not at risk of money laundering. The financial services sector is only barely regulated but it is very small, especially for banking, which makes it fairly small risk. This is a similar line of reasoning used by for example the Seychelles, whose financial services sector is very secretive but because banking is so small, it is not of great international concern. Legal system: Mix of French civil code, Islamic law, and customary law. Where the Comoros is a known jurisdiction, the reputation is absolutely horrendous. One of the biggest problems with The Comoros is that there continues to circulate providers who claim to sell Comorian companies when in fact all they do is take payment to issue worthless documents, while no legal entity is actually formed. With The Comoros not being a signatory to the 1967 Hage convention (Hague Evidence Convention), it is not possible to obtain apostille and instead certification by an embassy or government authority is required. However, because companies are usually incorporated in Anjouan or Mwali, a Comorian embassy or government authority is usually unable to actually verify the information due to secrecy, lack of internal cooperation, or simply not wanting anything to do with those types of activities. For Anjouan, a company by the name Anjouan Corporate Services Ltd is supposedly the central registered agent and only licensed corporate service provider. This wouldn’t be entirely unlike Marshall Islands and Liberia, were it not for the fact that it’s practically impossible to verify. For Mwali, there are a couple of websites that claim various degrees of officialness. How can you tell an incorporated Comorian entity from a worthless piece of paper? You can’t. By 1999, Anjouan had issued some 300 banking licenses with bare minimum requirements. The licensees were fully non-resident and had no activities in the Comoros or Anjouan; so called shell banks. Although some International Banking Acts in for example the Caribbean and South Pacific contain some unsavory clauses surrounding owner and director due diligence and customer protection, they are not as egregious as the old Anjouan banking regulation. A makeshift financial services regulator was set up in 2002, which did little more than actively promote The Comoros as a lawless haven for financial crimes. This veritable banking piracy came to an end in 2005 when the old law was revoked and practically all licenses with it. There are still plenty of service providers out there selling Anjouan banking licenses. 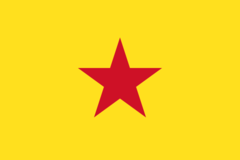 Curiously, most of them (all 10 or so I just checked) are still using the old Anjouan flag, seen here to the right, which was replaced in 2012. Now, let’s not forget about Mwali (Mohéli). 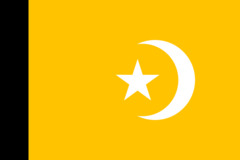 Old flag of Mwali (Mohéli). This island has a history much like Anjouan. One similarity is, again, the flag problem. Many websites and corporate service providers still fly the old official flag, seen to the left. There have supposedly been 24 banking license issued in Mwali, of which 14 have been suspended and three are under liquidation (a process that seemingly takes a very long time, since the website in question has not changed in many months). With license fees as low as 20,000 USD for an unrestricted license, it surprises no one that Mwali and Anjouan have and are being used to set up unreliable, fraudulent banks and or banks which are essentially money laundering vehicles for quasi-sophisticated criminals with a penchant for politically unstable countries. Banks in the Comoros should not be confused with traditional banks. Short of banks that cater only to the local market, a bank licensed in the Comoros is not a respected entity and opening correspondent accounts is practically impossible. Instead, many opt for licenses in slightly more reputable jurisdictions (such as the Dominican Republic), and effectively conduct all banking through that entity. The license in the Comoros is only used as a veil of secrecy. For the time being, these banks are too small and operating well enough to not draw too much attention but the closure of Comorian banks should not surprise anyone. How can you tell a licensed and regulated Comorian bank from a fraudulent bank? You can’t. Yes, Comorian citizenship can be acquired for an investment of 40,000 USD. With administrative fees it usually lands at 50,000 USD, not accounting for travel costs to visit the embassy in Dubai or the Comoros. But before you reach for your check book, consider that it is a practically useless citizenship. Comorian citizens can enter only 15 countries without visa and can enter just over 20 countries and be granted a visa upon arrival. Aside from travel within Africa (if even then), this is not an improvement over most citizenships out there. But what about for banking? First of all, banks assess things like reporting under AEOI (Automatic Exchange of Information) based on residence more than citizen. Furthermore, from experience in due diligence in financial services including banking, there are a couple of passports which if shown by a person who does not fit the expected characteristics of that jurisdiction, secondary ID is required. Show a Comorian passport (without looking the part) to a skilled compliance officer and they will ask for your other passport. The value of a Comorian citizenship and passport hardly justifies the 50,000 or so USD effort. For those to whom 50,000 USD is not a lot of money, far more reputable options are available. For those barely scraping together the necessary funds, the money is probably better spent on something else. Chances are that you don’t want to. It’s a politically unstable jurisdiction with significant corruption and crime problems. Infrastructure is generally poor. The islands are remote and have not even seen much tourism. And let’s not forget about the top marginal tax rate of 50%. The Comoros is a jurisdiction to be aware – and wary – of. Using it is rarely a better choice than going with another jurisdiction, no matter what it’s for: incorporation, banking, or establishing a bank. 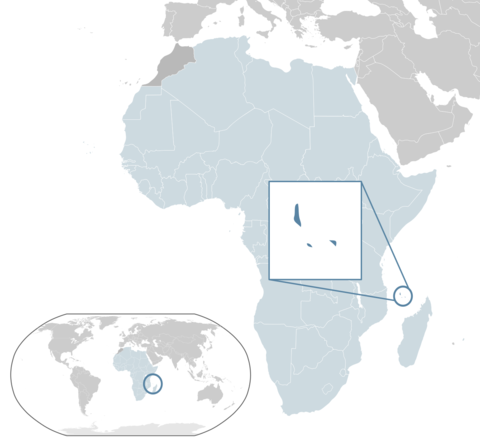 Be the first to comment on "Jurisdiction Spotlight: Comoros (Anjouan, Mwali)"